New York, NY - November 29, 2018 - PebblePost, the creator of Programmatic Direct Mail®, today announced Capital One Growth Ventures, Kickstart Seed Fund and other investors added funds to close out the company’s Series C round, which now totals $31 million. As previously announced, Advance Venture Partners (AVP) led PebblePost’s Series C round, which included prior investors RRE, Greycroft, Tribeca Venture Partners, strategic investors, and angels and pioneers in digital media. PebblePost is the first company to unite the power of digital advertising and the performance of physical mail with Programmatic Direct Mail®, a new marketing channel that turns online engagement into direct, at-home interactions that drive purchase decisions. 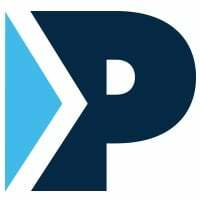 PebblePost’s Programmatic Direct Mail® platform and solution integrate targeting, algorithmic optimization, attribution and quantitative analysis to send highly personalized direct mail to consumers. PebblePost plans to invest the new funds into its customer platform, with enhancements to increase capabilities in the areas of attribution, re-engagement and prospecting to help brands measure and optimize campaigns. In addition, the company aims to expand its footprint across new vertical and partner channels, giving all brands the simplest and most powerful tool to convert shoppers into buyers. PebblePost created Programmatic Direct Mail® to convert shoppers into buyers with meaningful mail. We use real-time online interest and intent data to send meaningful mail that influences at-home purchase decisions and drives conversions across all purchase channels. Our patent pending digital-to-direct mail platform integrates segmentation, campaign management, advanced targeting, production, analytics and optimization. PebblePost® is a venture-backed company based in NYC and San Francisco.